What's TENDER, JUICY, and best served MEDIUM RARE? Of course we are talking about glorious steak! Nothing says 'hello weekend' like a beautiful cut of meat with crispy chips, salad and a creamy sauce...If you agree then you are in luck because we've managed to track down some of the best steaks Brisbane has to offer. Prepare yourself- the meat sweats are coming. The Pineapple Hotel is without question one of our favorite pubs in Brisbane. We have yet to have a bad experience there and the steaks are a big reason why. Juicy, tender and and reasonably priced- if you are craving a quality cut of meat in the burbs head to Pineapple Hotel. 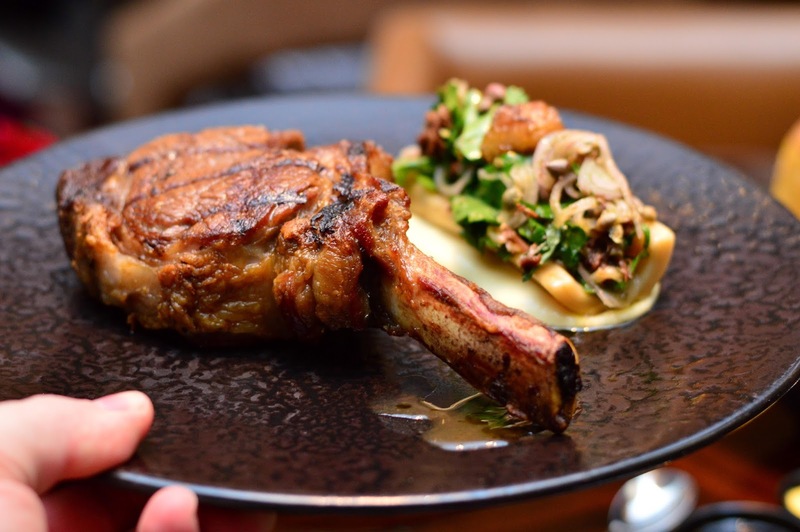 If you are looking for a top shelf steak dining experience then look no further than Bacchus. Southbank. This place can do no wrong in our books. The steaks on the al a carte menu are next level and guaranteed to have any beef connoisseur salivating! Best of all the beautiful cuts of meat are locally sourced from the amazing John Dee Beef in Warrick. TIP: Try the 350g Scotch Fillet with Bearnaise Sauce and a side of chips. Go ahead and treat yourself! They have one signature dish and they do it well. Les Bubbles in Fortitude Valley have garnered quite the reputation around for their steak frites. Given that is is in fact the only savoury dish on their menu you would expect it to be pretty darn good. Well rest assured it is and after one visit you will be hooked. The steak comes medium rare with your choice of sauce, a salad and BOTTOMLESS fries. Run, don't walk. Cabassi & Co in the Indooroopilly shopping center is more than a artisan butcher, it's a steak restaurant. At Cabassi & Co guests are treated to a very unique experience. Pick out your own steak from the quality cuts of meats on display and watch it be cooked right in front of you. After all who knows better how a steak should be prepared than a butcher?! What kind of steak list would this be if we didn't mention the Morro! It is without a doubt one of Brisbane's most iconic steak resturannts and for good reason. You can always count on them for a juicy, perfectly cooked steak with a delicously smokey flavour. Our mouths are watering just thinking about it!